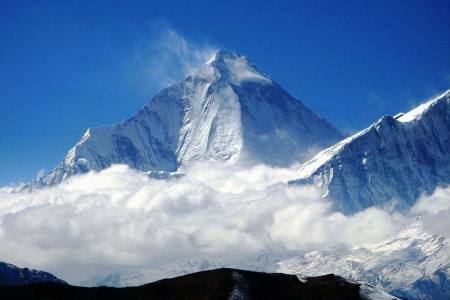 The Manaslu region offers many trekking options. 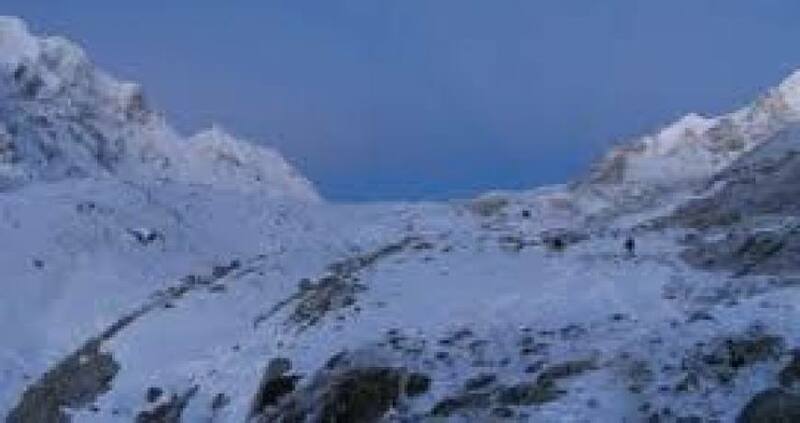 This trek starts from Arughat Bazaar and ends in Besisahar, the starting point of the Annapurna Circuit Trek. 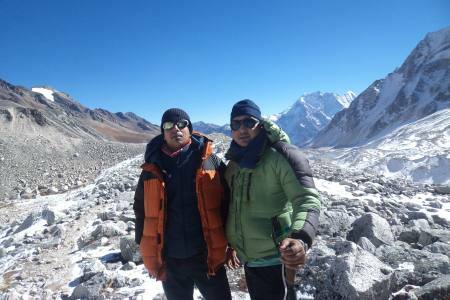 The trek Lead us an ancient salt–trading route along the steep sided Budhi Gandaki River. 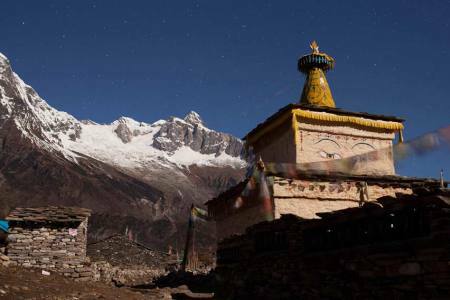 From Deng, the slopes of ravines ease and views of snow peaks start appearing from Ligaon. 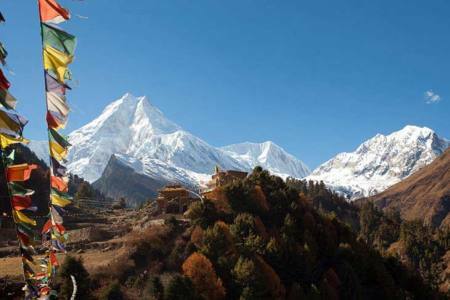 Further from Lhogaon, an impressive view of Manaslu, with its double peak, appears described as "a soaring monarch with a double-edged summit towering above fields of barley. 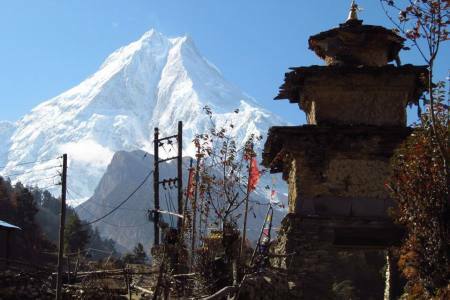 This trail follows the pine-forested Syala village, which has the backdrop of many horseshoe-shaped peaks, and reaches the village of Samagaon at the foot of Manaslu. 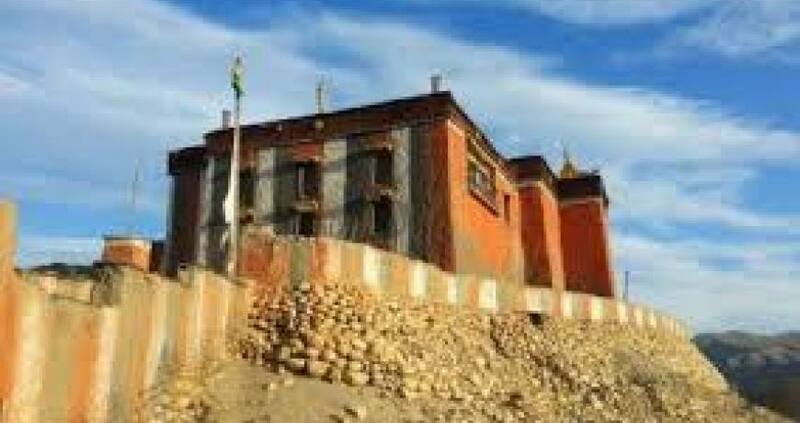 There is a Buddhist monastery at Samagaon, where monks and nuns reside. After half a day’s trek from Samagaon, the village of Samdo is reached. 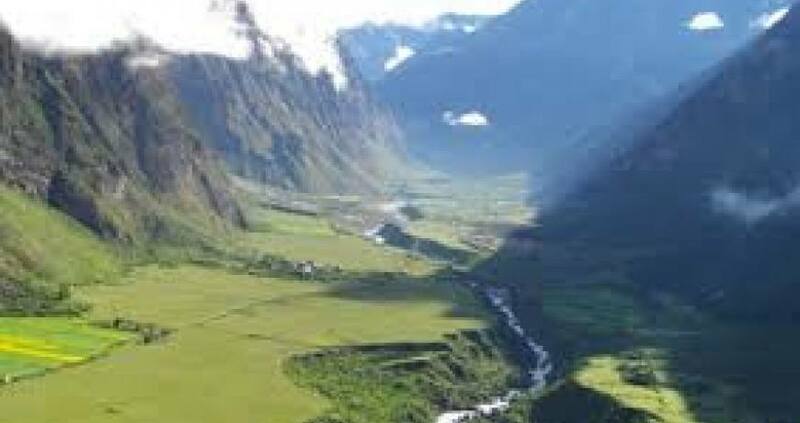 Samdo is the highest village in the Budhi Gandaki valley and is inhabited by Bhotias. This village commands a view of the valley and Pang Phuchi village with a backdrop of the Tibetan border. Further trekking leads along a major secondary valley to the Larkha La. 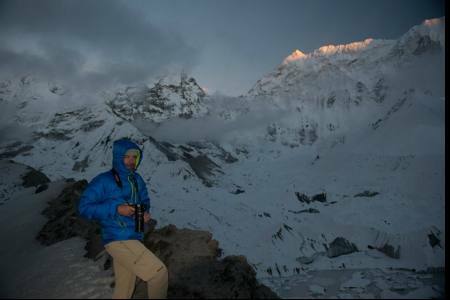 Along this route, Cheo Himal, Himlung Himal and Kang Guru are seen, along with occasional views of the Annapurna massif. From here, the meadowland of Bimtang (Bimdakhoti) is reached, from where Manaslu is clearly visible. Cultures: Tibetan, Tamang, Gurung, Thakali, Nepali etc.